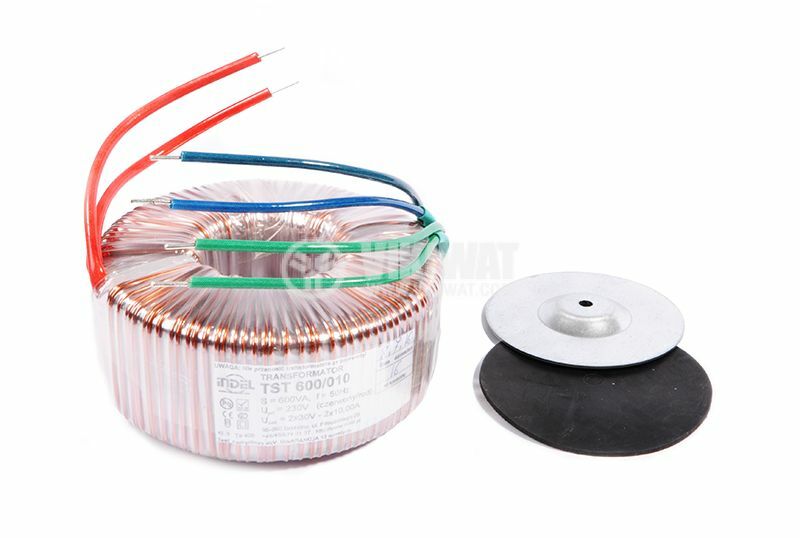 Toroidal transformer INDEL TST 600/010 with output voltage of the secondary winding 2 x 30 VAC - 2 x 10 A and Power 600 VA. The transformer is a device that transfers electrical energy from one circuit to another throughwires - transformer windings. 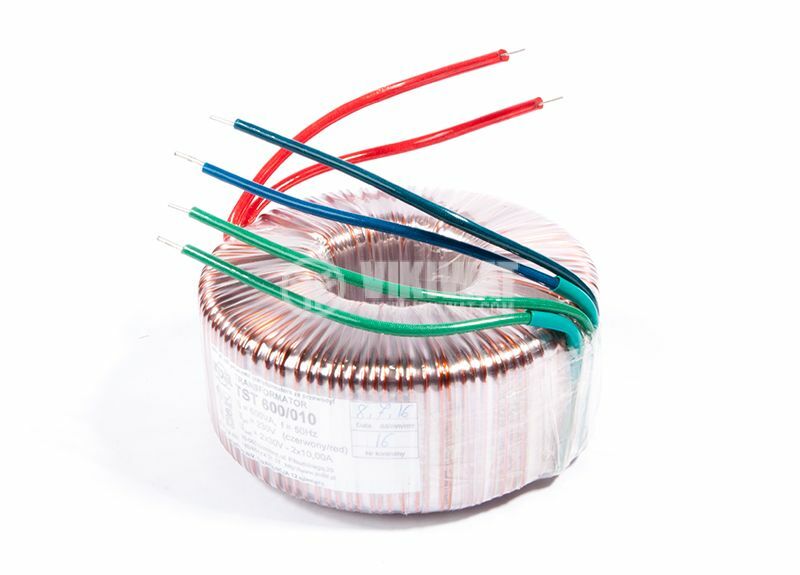 AC in the first primary coil creates an alternating magnetic flux in the transformer core and thus alternating magnetic field in the second coil. This alternating field induces a variable electromotive force (voltage) in the secondary coil. The described effect is called mutual induction. dimensions - innner diameter - 55 mm, outer diameter - 140 mm.